Advanced planning and knowing how to protect buildings in these areas can lessen the devastation of a wildland fire. There are several safety precautions that you can take to reduce the risk of fire losses. Protecting your home from wildfire is your responsibility. To reduce the risk, you'll need to consider the fire resistance of your home, the topography of your property and nature of the vegetation close by. Use fire-resistant or non-combustible materials on the roof and exterior structure of the dwelling. Alternatively, treat wood or combustible material used in roofs, siding, decking, or trim with UL-approved fire-retardant chemicals. Rake leaves, dead limbs, and twigs and discard them away from your home. Clear all flammable vegetation. Mow grass regularly keeping it less than 2 inches in height. Clear a 10-foot area around propane tanks and the barbecue. Place a screen over the grill--use a non-flammable material with mesh no coarser than one-quarter inch. Place stove, fireplace, and grill ashes in a metal bucket soak in water for two days, then bury the cold ashes in mineral soil. Stack firewood at least 100 feet away and uphill from your home. Clear combustible material within 20 feet. Use only UL-approved wood-burning devices. Back your car into the garage or park it in an open space facing the direction of escape. Shut doors and roll up windows. Leave the key in the ignition. Close garage windows and doors, but leave them unlocked. Disconnect automatic garage door openers so doors can be opened even if the power goes out. Don't lock your home. Firefighters may need to get in quickly. Leave indoor and outside lights on to make the home more visible if smoke becomes heavy. 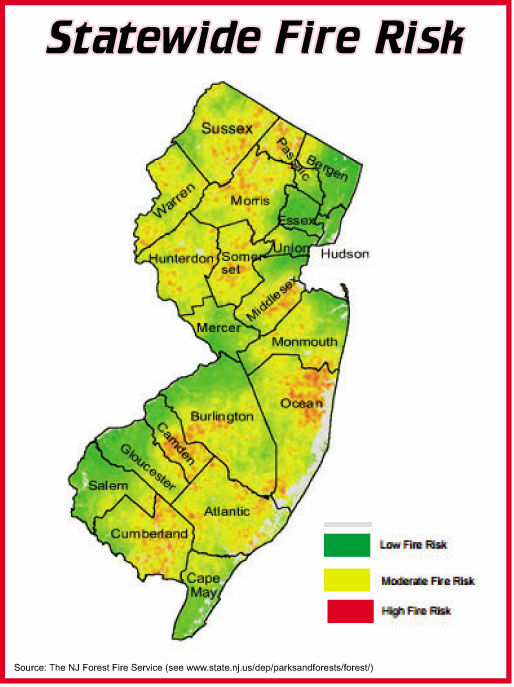 Firewise Communities is a project of the National Fire Protection Association. The site has an abundance of tools and resources that are designed to educate and engage homeowners in wildfire preparedness plans and efforts. FEMA Learn more about the actions you should take before, during and after a wildfire and other natural disasters. American Red Cross Disaster and Safety Library Access preparedness fact sheets, recovery guides and other instructional material designed to help you stay informed and safe. Source Recommended by a Web Visitor This page lists many links that go to various sites providing information about the history of wildfires, how to combat wildfires and a plethora of related materials. Fire Science Online This site provides a great deal of information and resources about how to become a professional firefighter. Here you will also access facts about the prevalence of wildfires over the years and fire safety tips.